ADEN, Sept. 13 (YPA) – The US Department of Defense is planning to establish a permanent military base in Aden, southern Yemen, to oversee the strait of Bab al-Mandab and the Gulf of Aden. 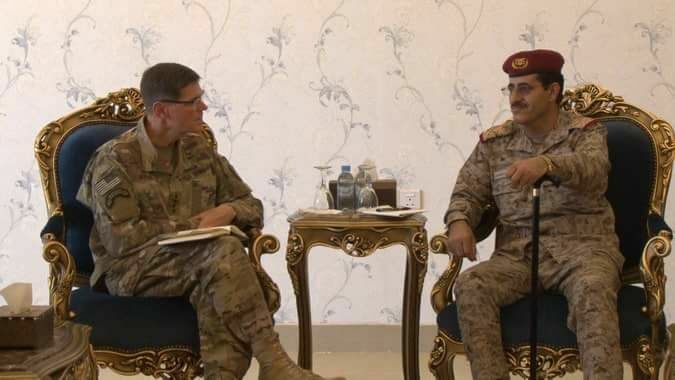 The Aden-based daily Al-Umana’a newspaper on Thursday published information confirming that US military commanders have for some time made unannounced visits to Aden from time to time and met with Yemeni officials. 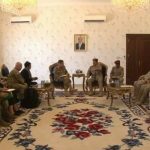 Last week, a US military delegation led by General Joseph L. Votel, Commander of United States Central Command, visited Aden and paid a visit to the area of Ras Amran or Khor Omira and nearby areas to conduct a survey in the region. Earlier, specifically before the Battle of Hodeidah, the Americans had concluded an agreement to establish a joint operations room in Maashieq Palace in Aden. But for security reasons for their fears of being hit by missiles of Yemeni army forces from Sanaa, the agreement’s implementation has been suspended. Following the recent visit of the US delegation to Aden, it has been approved the need for a permanent presence of US forces and the establishment of a military base on the outskirts of the city.